Police in Bukwo district are holding three suspects accused of having participated in the murder of Rev. Augustine Neto in the East Elgon forest. It’s alleged that Alfred Chelop, Andrew Chesur and Peter Kiplungant Peter all residents of Kapukorosoi village in Bukwo District have been sending their cattle to East Elgon forest to freely graze without anybody attending to them. According to police, Rev. 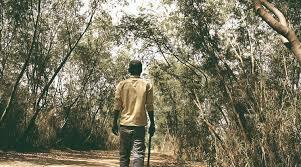 Augustine Neto and other three residents had information that there are people who are stealing their cattle from the forest were selling them. The four decided to go to the forest to verify the allegations whether it’s true or not. When they reached the forest they got cattle thieves and three of Rev. Neto’s colleagues started chasing them while making an alarm. Neto opted to drive the animals back home. The alarm his colleagues made attracted nine local residents armed with machetes who responded and on entering the forest; they met the Rev. Neto driving the cattle and mistook him to be a cattle thief. They started beating, striped him naked and cut off his head and hid it. When the Rev. Neto’s colleagues returned they met the nine and explained to them what had happened and they inquired whether they had seen him. The nine expressed ignorance of the Rev. Neto’s where about. The three decided to go up to the trading center where they held a meeting and when the nine realized that they had killed an innocent person they started disappear one by one. The Locals accepted to work with the police to arrest the nine who murdered the Rev. Neto and so far three suspects have been arrested and confessed to the murder. The three suspects took police to where they had hidden the head of the Rev. Neto and it was recovered, the headless body was brought from Kitale in Kenya where it was in mortuary and joined together with the head.